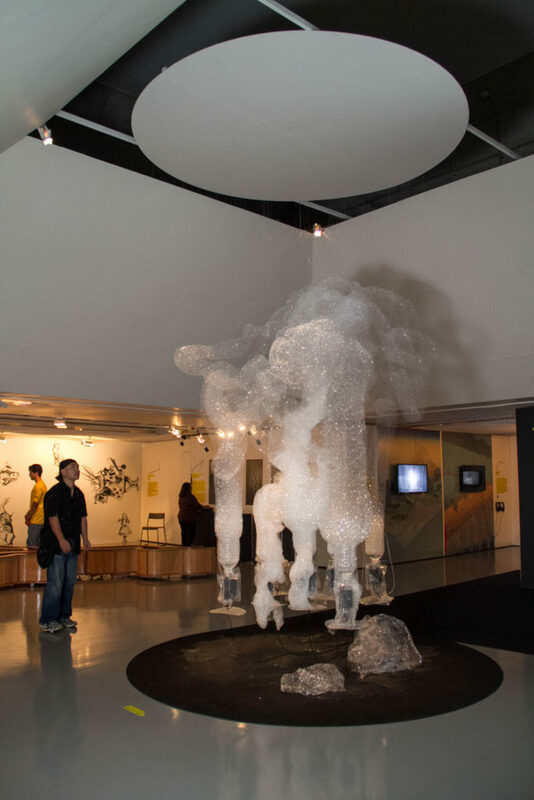 Part of the ”blank” project that the artist has been creating since 2011, “The Blank to Overcome” utilizes air pumps, power supply control circuitry, water, solution, glycerin, ethanol and electricity to produce bubbles in the air. The theme of ”blanks” denotes a space for an unsolved ”inquiry” through the perspectives for thinking about the post-3.11 present: how the bubbles are always shifting as a giant cluster, almost without mass or structure, and the facing up to this; and the framework since modernity that has prescribed society, and the ”involved” or the ”other”. From this work debate will surely emerge.